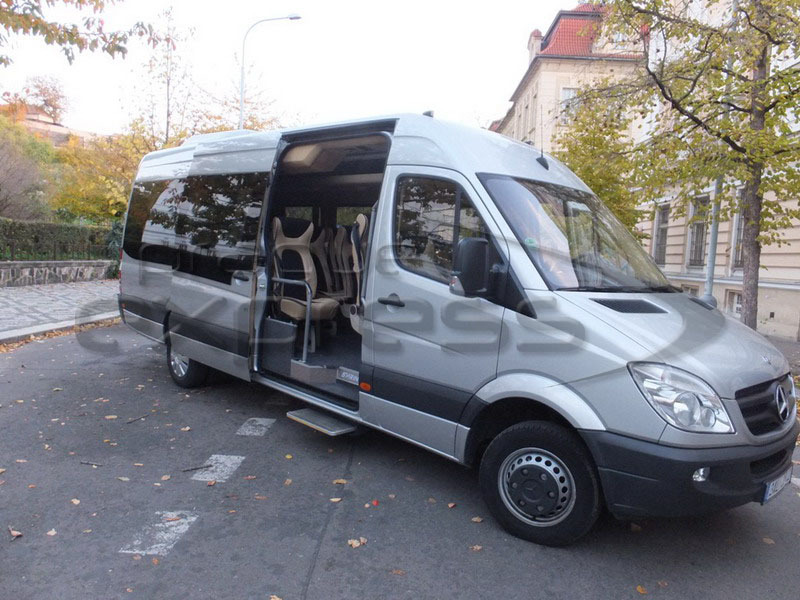 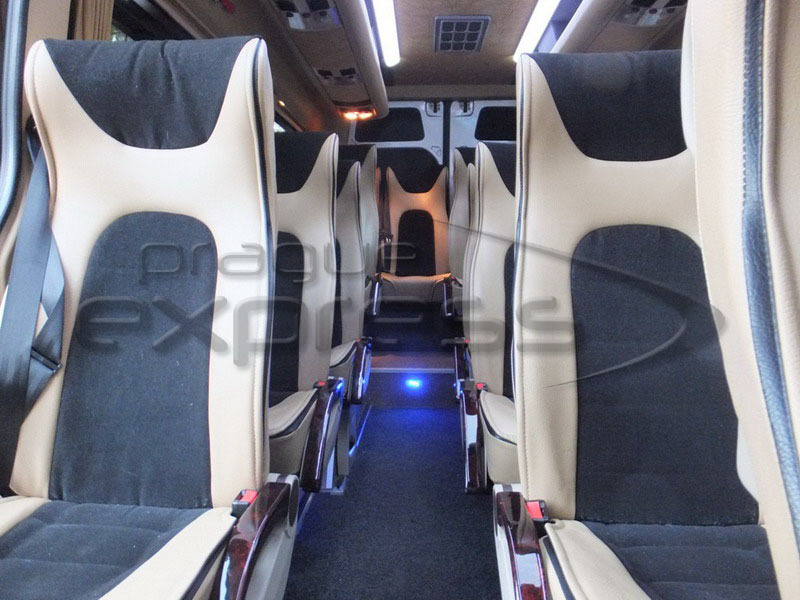 Prague Express offers rental of minisuses Mercedes-Benz Sprinter 519 CDI with driver for transportation of groups of 16-20 passengers in Prague, the Czech Republic and Europe at competitive prices. 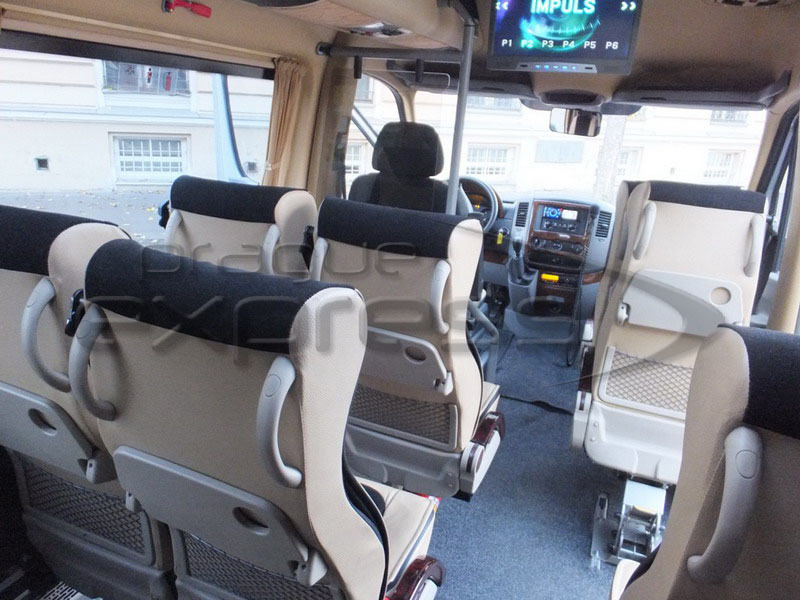 Interior and equipment of the minibuses: wood interior trim, comfortable adjustable leather seats, enlarged space for feet, panoramic blacked-out coupled side windows, microphone, DVD, revolving seat for tour guide (providing ability to face the group while lecturing), enlarged baggage space. 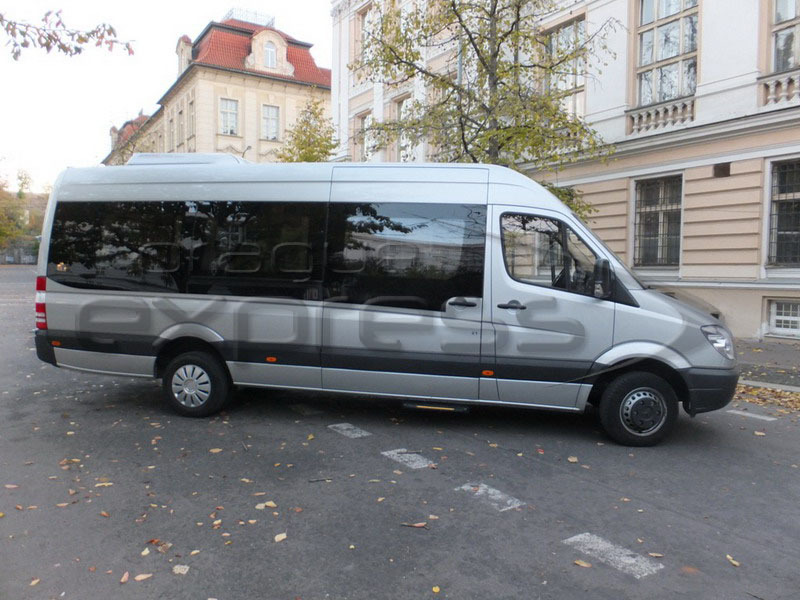 Rental of a minibus with driver is ideal for transportation of wedding guests, company management, foreign delegations or tourist groups, and for those who prefer comfort and top brand. 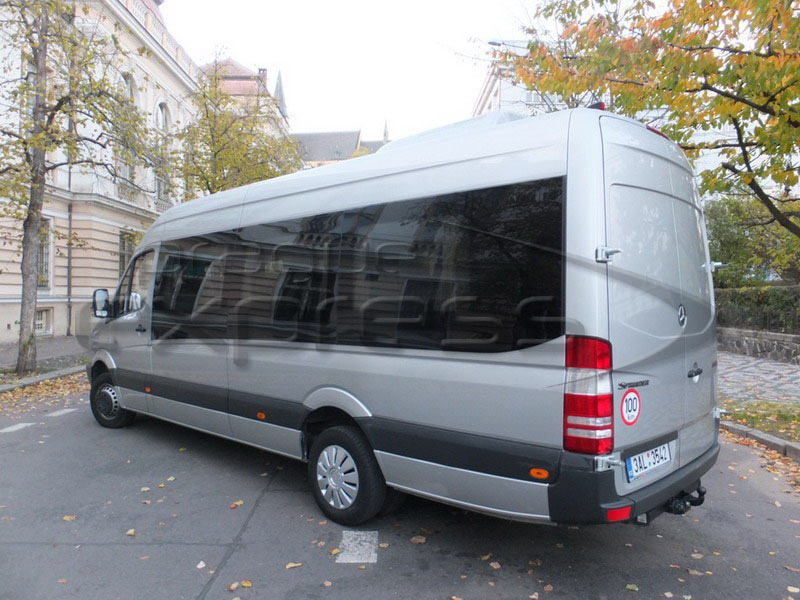 High-power engine with 3 liter capacity makes it also a perfect vehicle for travelling to mountains. 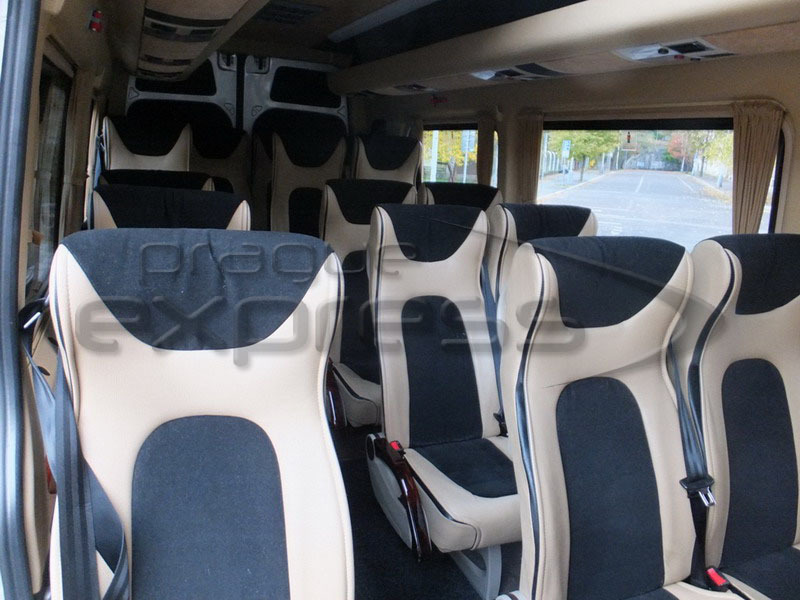 Don't forget that in our agency high level service on a VIP-equipped minibus like this is at your disposal at quite reasonable prices. 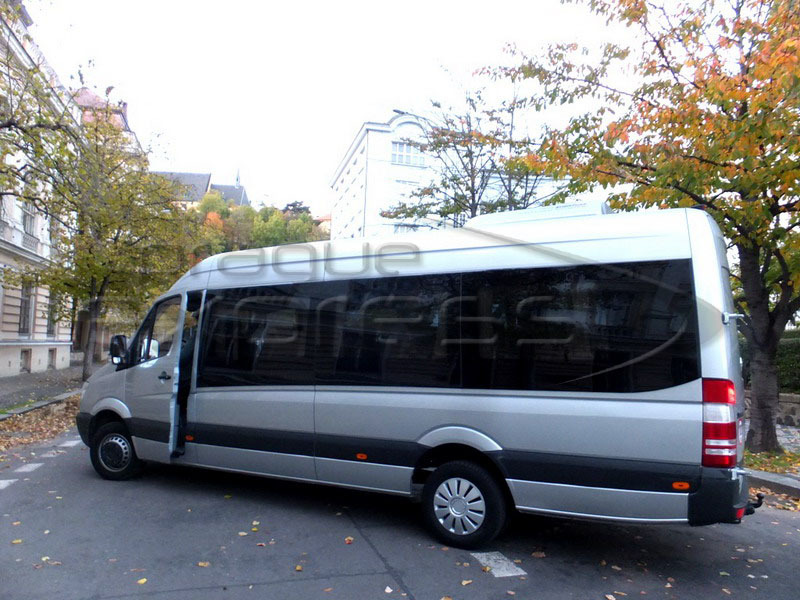 Check out our rates for minibus rental with driver!